A collection represent a group of different object, as its element. But importantly some collection allow duplicate elements and other are not. 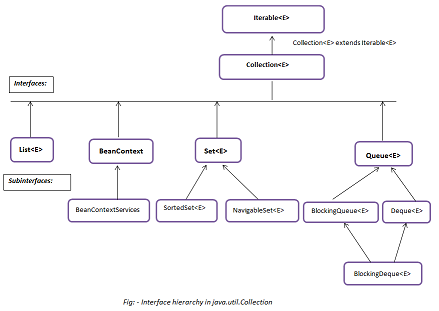 In collection interface hierarchy all the interface define in java.util and java.beans packages with Superinterface Interable . 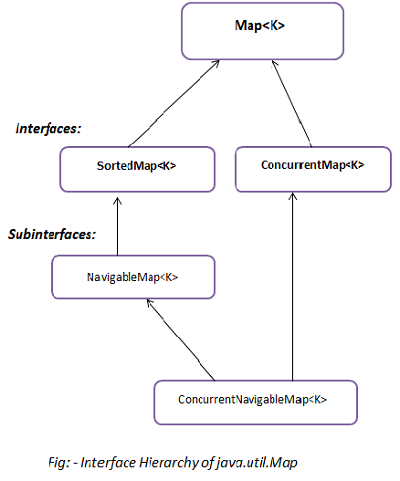 All the Known interface in collection is BeanContext, BeanContextServices, BlockingDeque, BlockingQueue, Deque, List, NavigableSet, Queue, Set, SortedSet etc.